Welcome back to another exclusive behind-the-scenes Q & A with the cast of "Katie Is... ACCUSED." Cody from Cat Chat, a.k.a. 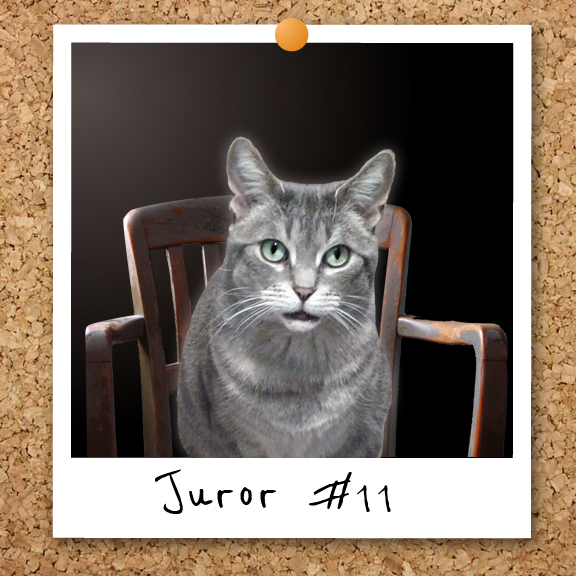 Juror #11, joins us today to share his own impressions of the video. KATIE: Welcome Cody. First let me say how sorry I am that your hometown Tigers messed up so badly. You look like you can't believe what just happened. CODY: Swept away like kitty litter, I tell you. KATIE: So Cody, onto bigger and brighter things. What was your favorite part of "Katie Is... ACCUSED?" CODY: Seeing my face...of course. 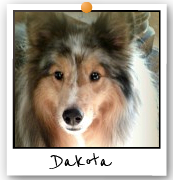 KATIE: How about Dakota the dog? What's he saying about the video? CODY: Dakota says why you would choose a dog OTHER than him as Judge is BEYOND him! KATIE: Apparently the District Attorney felt Dakota would have to recuse himself from the bench based on the fact that you'd already been cast in the role of Juror #11. Just try not to go too crazy with all the autographs and stuff in front of him. Don't make him fetch your Sharpies. Ok, the answer we've all been waiting for: Guilty or innocent? Love reading your cast's interviews! They are so amusing. Good job, Cody! You make a fabulous juror! Whew, another innocent. You've got this licked, Katie! Say now... it's just occurred to me... if Katie is UNDER OATH and asked 'Who is Waffles' she'll HAVE to say! Cody is a bright guy - he KNOWS! Another great interview with a cat who knowns his stuff. Is Cody a juror that can be bought?? We think not! Great interview!! Cody is a doll, and we just love Dakota. But Dakota is way to nice to be a judge, we thinks he would let everyone off. Including Gloman. Who was clearly at fault for leaving his shoes out. Great hearing from Cody and we agree with Alasandra's comments!! what a surprise this was and I cannot STOP LAUGHING!!!!! The photo you used of Cody is hilarious and the comments about Dakota too funny! Thanks for making my day!! @Benny & Lily...that's true! Dakota's mane would get in the way MOL! you will be cleared! don't worry ! Yay for being a finalist in the video contest. In our humble opinion you should win hands down. well my mancat Cody is always fair and honest, so I am sticking with him on this...as always...innocent! That Cody is handsome and wise! me was sure hoping us jurors would be sequestered. Then purrhaps wes could kiss and make up! That was a fab interview with Cody the man! PS: I'm with Rumbles...who is theese Waffles guy?